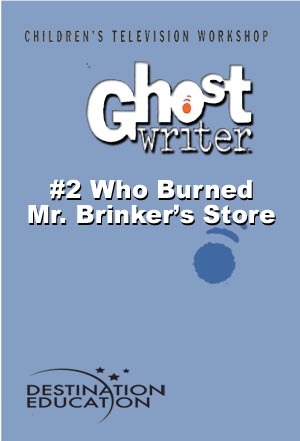 p>After a suspicious fire breaks out in Mr. Brinker’s video store, mounting evidence points to Jamal as the prime suspect! The Ghostwriter kids swing into action to clear their teammate’s name. With some interviewing savvy and super-sleuthing, the friends race against time to uncover the real culprit before Jamal gets arrested for arson!